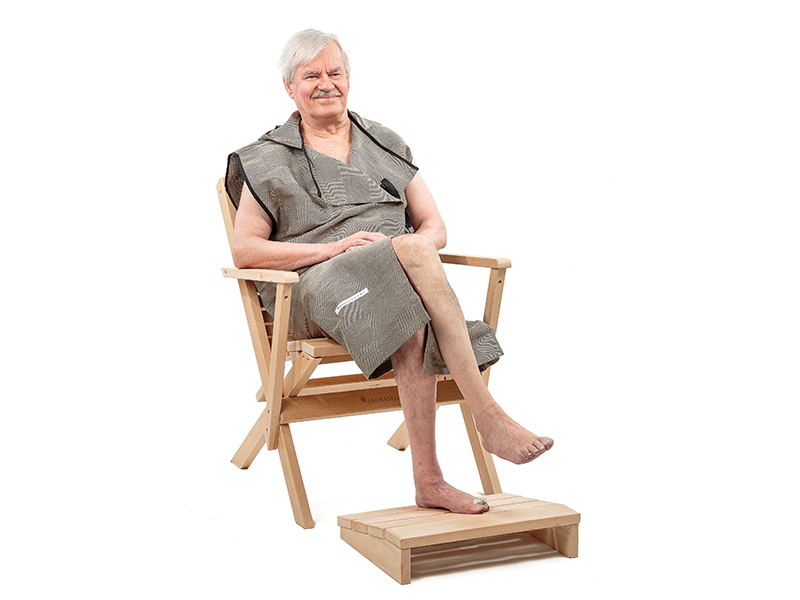 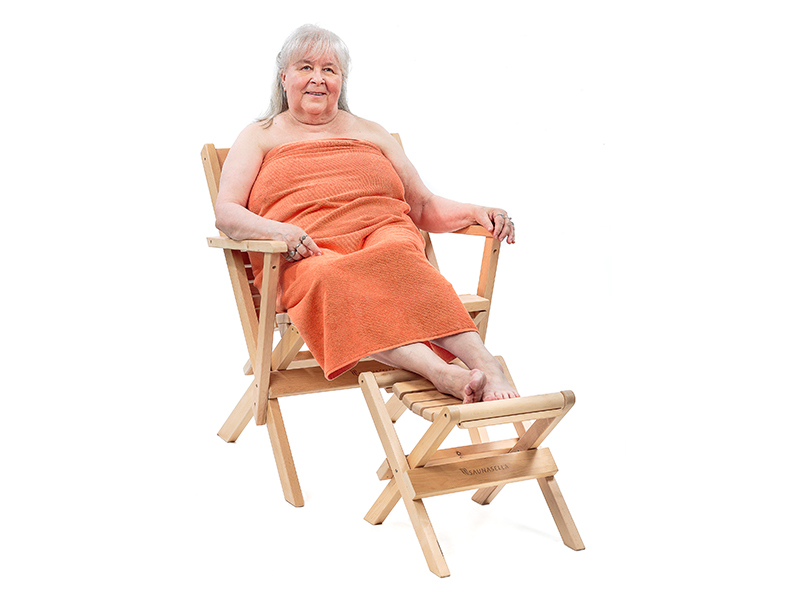 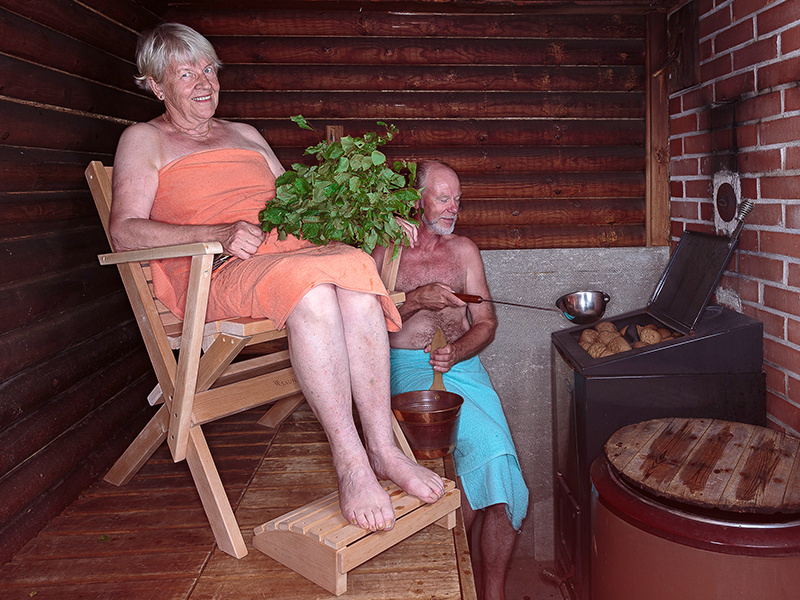 Sauna chair for the elderly and people with reduced mobility. 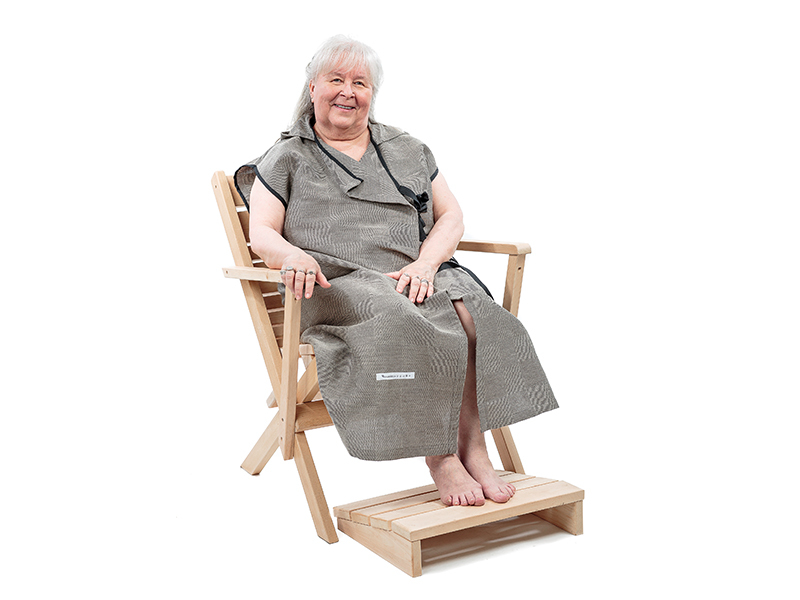 The Fortis sauna chair has a higher and wider seat that enables sitting without any extra effort. 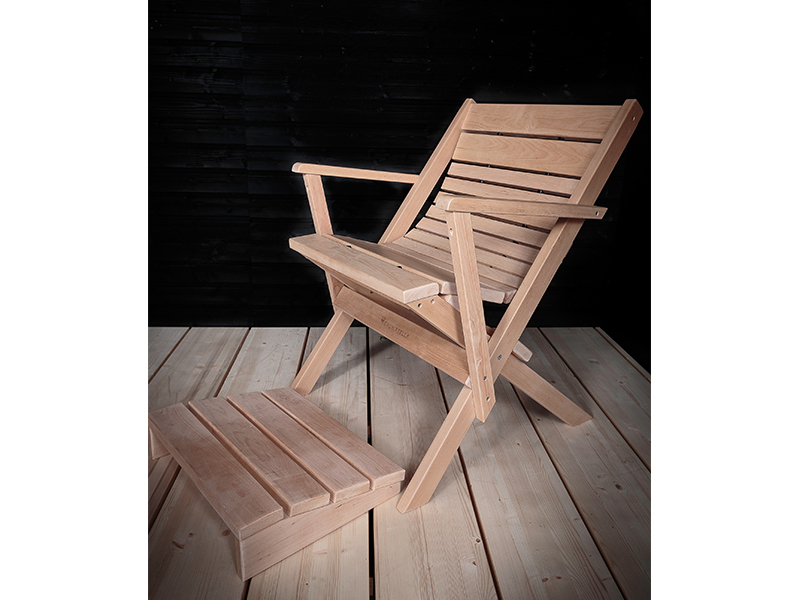 The chair's stability and supporting armrests make it easier to sit in the chair and get up from it. 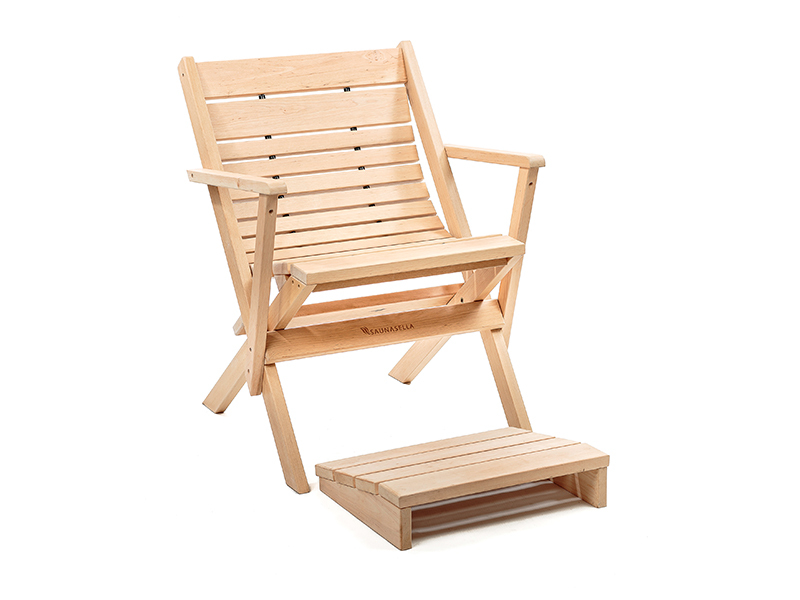 The backward leaning seating position is comfortably relaxing and supports the entire back.